Welcome back to another inspirational week at The Play Date Cafe! 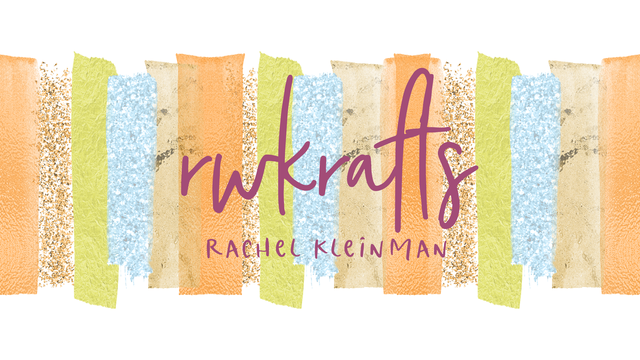 The color story this week was a personal challenge, but that made me step outside of my comfort zone and try some new techniques. I love the finished result! 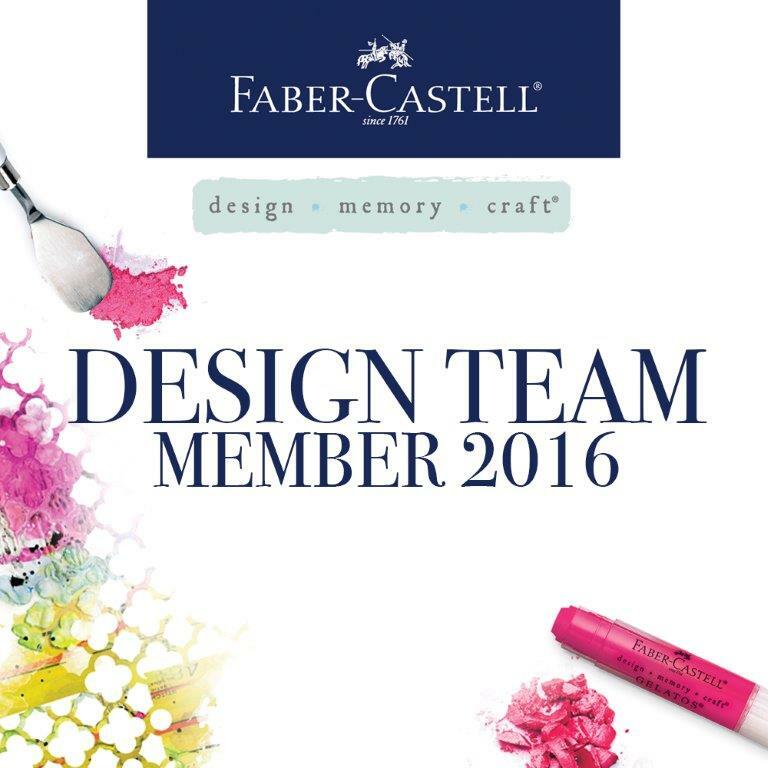 We are also welcoming back our amazing sponsor, Simon Says Stamp. 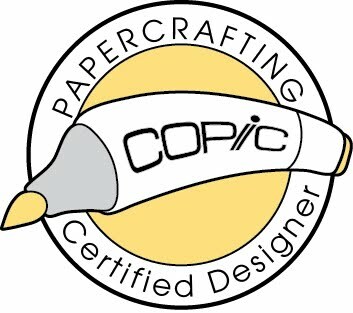 Our 'Cup of the Week' will receive a gift certificate to the store to spend how they want! For my card, I was completely inspired by Debbie Hughes' gorgeous creation using gesso on her card. I used a stencil from Crafter's Workshop to add gesso to the center, and built around that. Since the colors are very similar, I focused on using different textures to differentiate the elements. 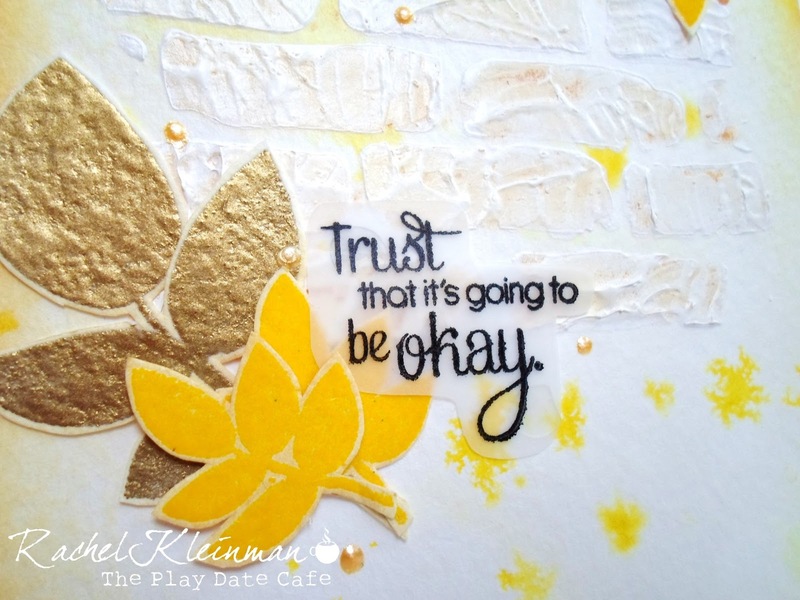 This card uses ink sprays, distressing, embossing, gesso, vellum, and liquid pearls. I stamped the sentiment on vellum so it wouldn't completely cover up the cool background. The leaves were embossed in gold and yellow, fussy cut, and tucked under the sentiment. I know it's hard to believe, especially for a pessimist such as myself, but sometimes thing will just be OKAY! 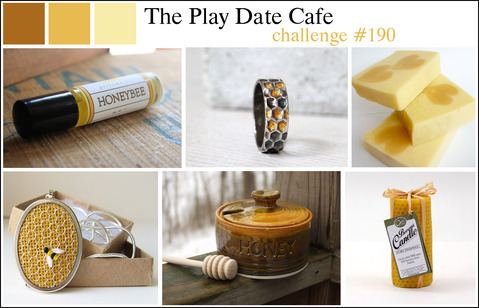 Link up your project to the Play Date Cafe challenge by Tuesday night at 11:59pm! Can't wait to see how you're inspired! 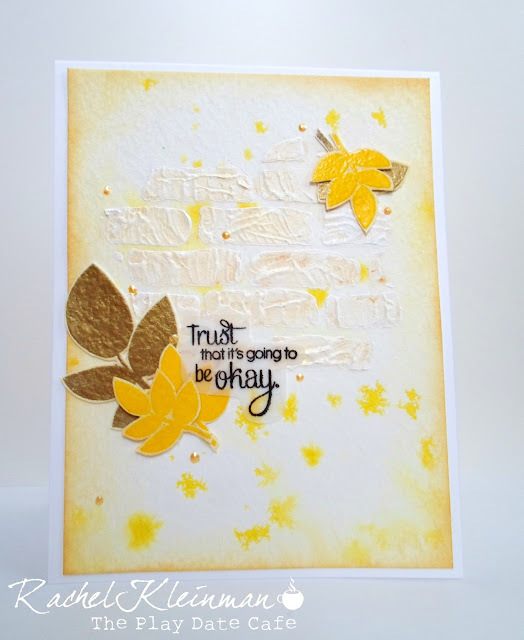 Stamps: Avery Elle "Petals and Stems", Marketstreet Stamps "Faith in You"
Misc: liquid pearls "Buttercup", q-tip for blending, Claudine Hellmuth Gesso, Crafter's Workshop stencil "Bricks"
Love the beautiful colors and that you stamped on vellum! Oh this is beautiful! 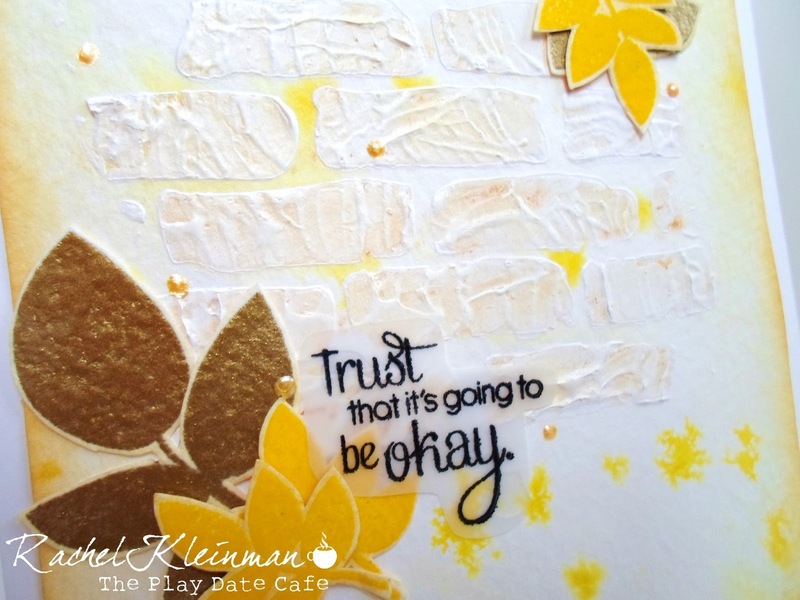 Love the gesso on the center of your card and the vellum sentiment! Such much pretty to look at! This card is so beautifully put together! I have never thought of using gesson before. Brilliant idea! I love all the touch of texture you added to your card through the use of gesso. Blessings! You have become quite the multimedia artist!! This is SUPA! !